The Court on Tuesday refused to grant bail to Somnath Bharti, Former Law minister of AAP Government and the present MLA of Delhi assembly, in a complaint filed by his wife accusing him of domestic violence and torture among other allegations. Justice Suresh Kait observed that the allegations against him are not baled but supported with documentary proof. The court also said that Bharati has misused the protection given to him by the High Court. Delhi High court on Tuesday, allowed the appeal filed by BCCI and has held that the age determination tests conducted by BCCI cannot be held to be arbitrary, unreasonable or discriminatory. Bench comprising of Chief Justice G. Rohini and Justice Jayanth Nath, setting aside the judgment of single Judge, said that the interference under Article 226 is not warranted and no mandamus could be issued compelling BCCI to adopt a different method for age determination. The Court on Monday stayed a single-bench order which slapped a penalty of Rs 50 lakh on the National Stock Exchange (NSE) for two weeks. There was a notice of motion defamation case filed by the exchange against Money life magazine. The bench has also asked Moneylife to file a reply within two weeks to NSE’s revision application. In a judgment rendered in 16.09.2015, the constitutionality of the Food Safety and Standards Act 2006 has been upheld by the Bombay High Court. 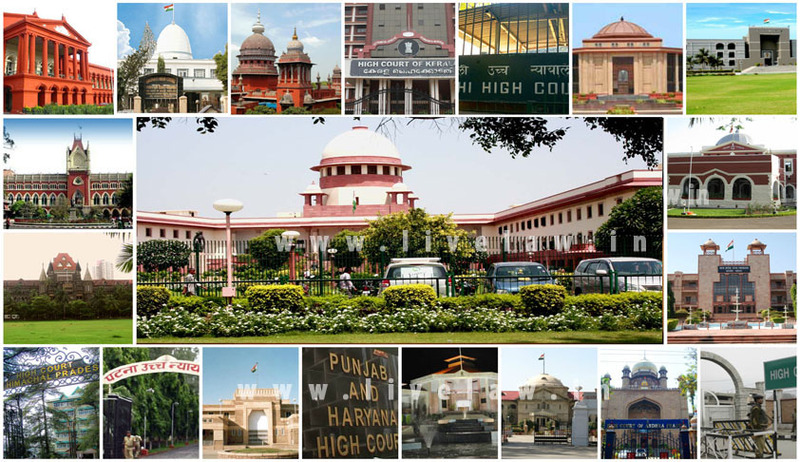 Several merchant, traders, hoteliers and dealers in food items had moved the High Court under the collective of associations like ‘The Association of Traders carrying the various business of Food Items’ , ‘Mumbai Mewa Masala Merchants’ Association’, ‘AHAR-Indian Hotels and Restaurant Association’, impugning the provisions of the Food Safety and Standards Act, as ultra vires the Constitution of India. The Court stayed Maharashtra Government’s circular dated August 27, which had endowed authority on Police forces to charge those spreading anti-establishment views with the contentious provisions of sedition, as prescribed under Section 124 (A) of the Indian Penal Code (IPC). The Bench, comprising Justice V.M. Kanade and Justice Shalini Phansalkar Joshi directed Maharashtra Police to not to adhere to the circular. The Court ruled on Wednesday that the Prohibition of Child Marriage Act, 2006 is a secular law which specifically deals with the problem of child marriages. It is also held that the provisions of the Prohibition of Child Marriage Act, 2006 being a “Special Act” and being a subsequent legislation, to this extent and in case there is any conflict, will override the provisions of Muslim Personal Law, Hindu Marriage Act or for that matter any personal law. Religion of the contracting party does not matter. The Court on Thursday held that a Sessions Court has no power to order investigation, even when it exercises the revisional jurisdiction. It clarified that if the complainant is of the view that his complaint should be investigated under Section 156(3) of the Code, then it shall be open for him to avail of appropriate legal remedy before the appropriate forum in accordance with law. Gujarat High Court on Sunday fired 89 employees, recruited “without using public advertisement” and without following any selection procedure. These employees, belonging to class-III and class-IV grade posts such as peons and clerks, were recruited by former Acting Chief Justice V.M. Sahai, using the power bestowed under Article 229 of the Constitution of India. The Court on Thursday directed the Cochin Port Trust, State Port Department, and the Corporation of Cochin, Ernakulum, to ensure compliance of relevant safety provisions of Kerala Inland Vessels Rules 2010. The Court was hearing a PIL filed by P.A. Jerald, with reference to the recent Fort Kochi boat tragedy which claimed the life of 11 people. A writ petition has been filed by T. Koshy, a senior citizen, challenging the gross injustice, hostile discrimination and the illegal extraction of huge sums of money by the BCI, Bar Council of Kerala and the Centre, in the exercise of their powers under the Advocate’s Act 1961, for the enrolment of Advocates, held on 24 May, 2015. High Court of Kerala has admitted the Petition and issued notice to the parties. A Division Bench of the Allahabad High Court directed Secretaries of all departments of the State Government to ensure the hoisting of the national flag and reciting of the national anthem in all institutions controlled or aided by the state on Independence Day and Republic Day. The Bench, comprising Chief Justice D.Y. Chandrachud and Justice Yashwant Verma observed that hoisting of national flag and reciting of national anthem on August 15 and January 26 were “constitutional duty of all citizens”.